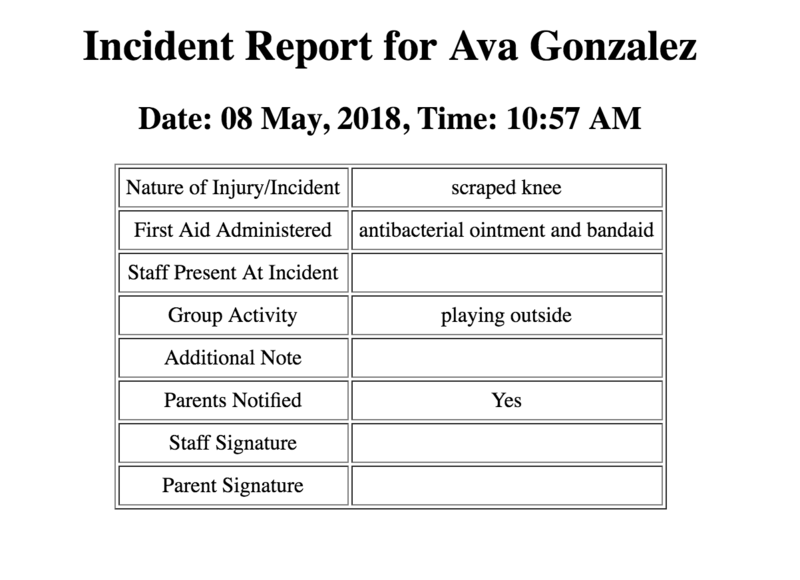 Incident reports can be used to take down information regarding an accident, injury, or behavioral issue that a child has experienced. Click on "Activities" and select "Incident." 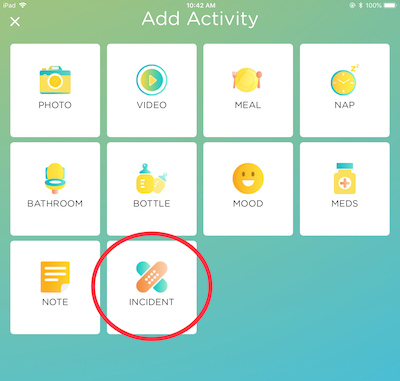 Under Parent Connect > Daily Activities, select the "Create Activity" button on the upper right and choose "Incident" from the drop-down menu. 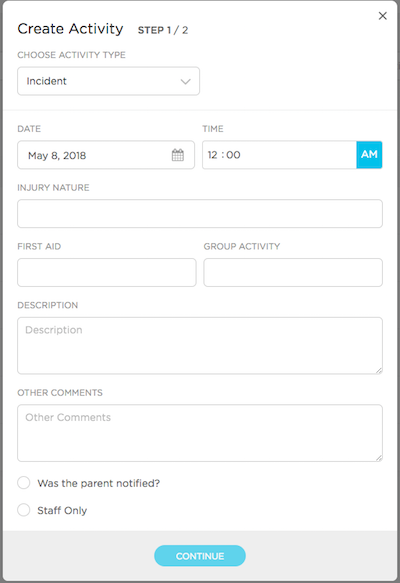 Once an incident report has been added to a child's activities, it can be viewed from the Parent Connect > Daily Activities section of the website. Use the date filter to view an incident report that occurred on another date. 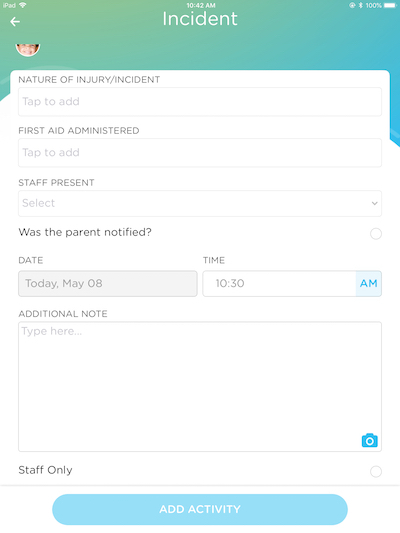 You can also select an individual child and filter by a date range to view all of the incident reports that occurred for that child. Click on the ellipsis (...) in order to edit, delete, or view a printable screen for the report. The report will stretch out on the screen depending on how much information was recorded for each field.